The perfect compliment to any wardrobe! 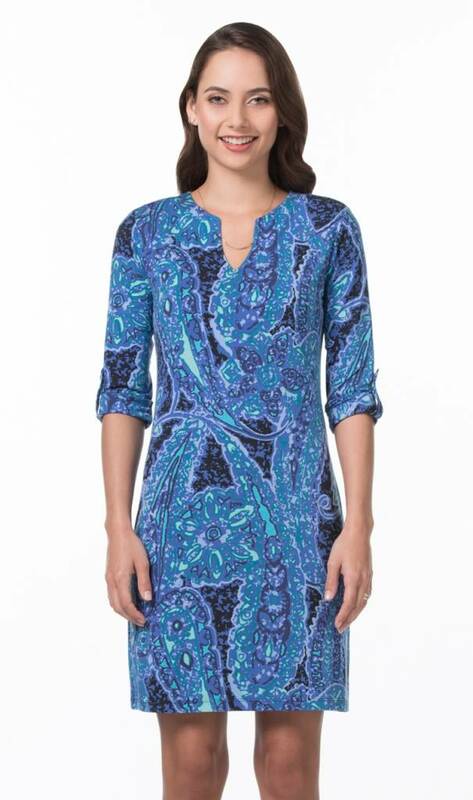 The Meredith dress is slightly fitted with a slit neck and ¾ cuffed sleeves. 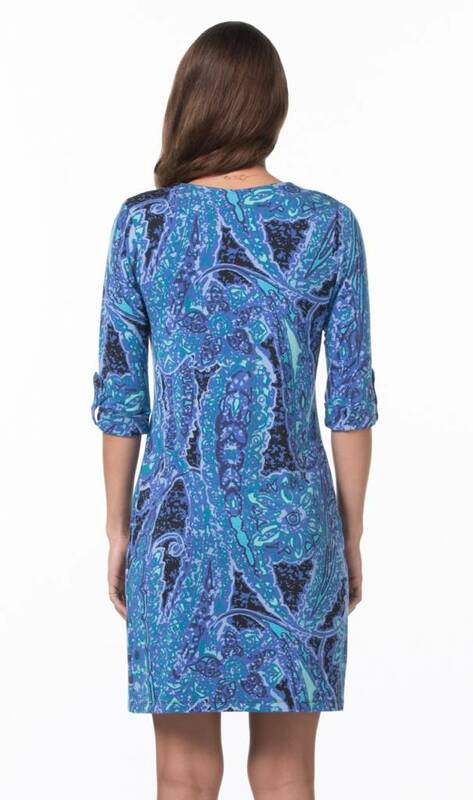 A vintage Tori Richard® print from 1964, this knee length dress is a new timeless classic.